Except for the whole abusive father, drug-addicted mother, bouncing around foster homes for a decade thing, Shardal is an average kid. The 16-year-old is an easy-going kind of guy. He makes good grades, stays out of trouble and minds his own business. He doesn’t interact much with anyone who is not one of his closest friends. He may not know her name, but he knows that she is his. He belongs to a tightly knit group of eight friends who protect and help each other. Of the eight, only his three best friends know about his nomadic life. Those three are his confidants. They have given him shelter, food and listening ears when he had nowhere else to go. They are his brothers. Shardal has biological brothers, too. He only gets to see his two brothers and his sister every two months, but he gets to call them every day. Shardal’s 15-year-old brother has had a life reflective of Shardal’s. He spent the past 11 years moving from foster home to foster home. He now lives with a foster family in New Orleans. Shardal’s other brother, 12, and his 14-year-old sister live with their father in Mississippi. Shardal was able to move in with his father when he was 14. Two years of beatings and food deprivation later, Shardal was back in state custody. He moved in with his godmother December 2010. She was financially unable to support him. 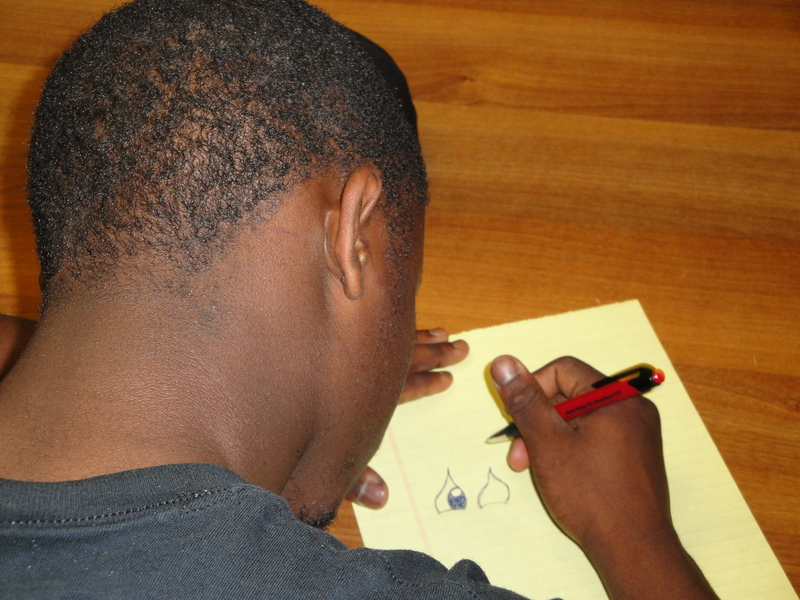 Three months later, Shardal moved to a youth transitional facility. He is now waiting for the paperwork to go through for his next foster home. More than 423,500 children were in foster care in late 2009. Foster care is a 24-hour care system for children outside their own homes, whether it is in another relative’s house, a nonrelative’s house, or a transitional youth facility, like Shardal’s. Children may be thrust into the world of foster care through abuse, neglect, parents’ inability to care for them, or from running away. There are four foster and adoption agencies in Baton Rouge and at least three youth transitional housing facilities. He plays the French horn in Scotlandville High’s marching band, an activity that has interested him since elementary school. He loves to draw and hopes to get into an art class at school next year. Shardal has had a rough past, but uses the experiences to propel him in his ambitions. He plans to graduate high school, go to college and, ultimately, become a police officer.